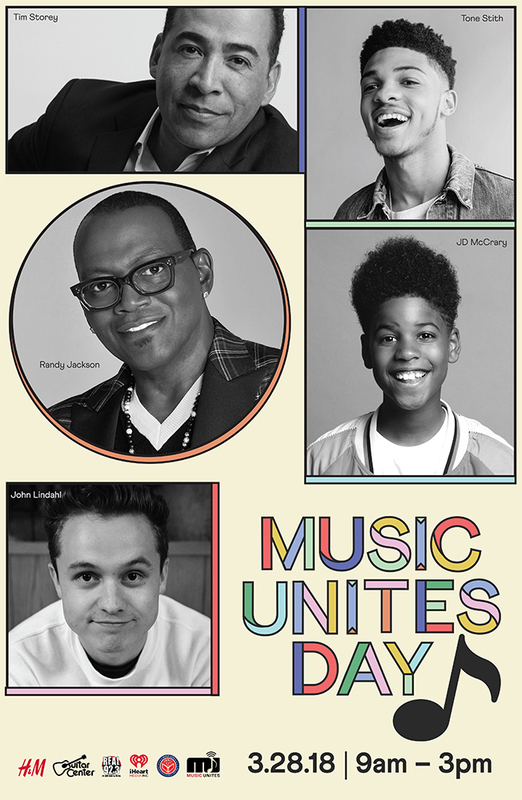 In collaboration with H&M, Guitar Center, iHeart Radio & Real 29.3 LA, JD McCrary and John Lindhal will perform and music icons Tim Storey and Randy Jackson will share their personal stories to kick off MUSIC UNITES DAY on March 28 in celebration of Music In Our Schools Month. MUSIC UNITES in partnership with the Compton Unified School District will celebrate Music Unites Day, which was established by Superintendent Brawley from the Compton Unified School District. 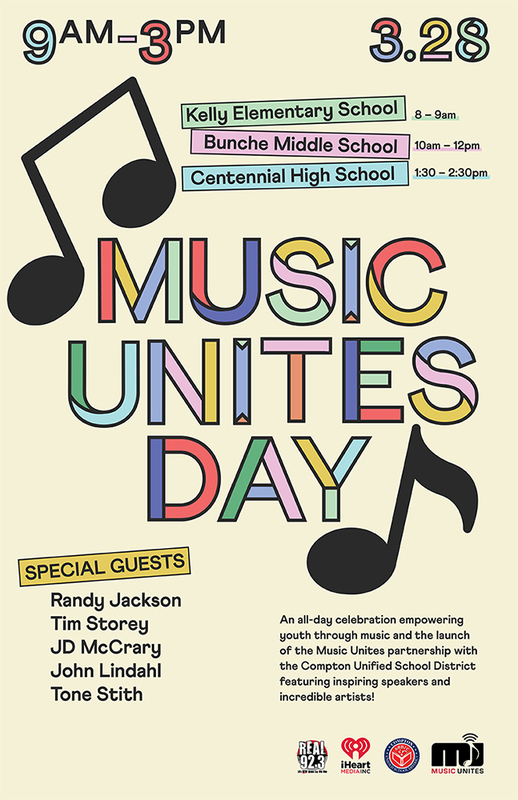 Music Unites is proud of the key partners for Music Unites Day including Scholly, We Day and Music Center, who will play an integral role to further the mission of empowering youth through the importance of music education. 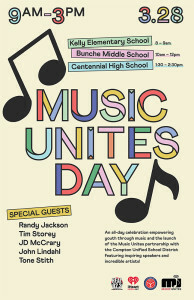 Along with performances my ten year old music sensation JD McCRARY who also stars as baby Simba in the new Lion King movie and newcomer John Lindhal, Music Unites will host a series of 90 minute educational workshops in the auditorium/ gymnasium across three schools: Centennial High, Bunche Middle School and Kelly Elementary. The three different programs at the schools will happen at 9 AM, 12 PT and 3 PM. This marks the first time that the Compton Unified School District has granted an official day to celebrate music education. 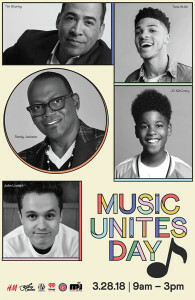 Music Unites will program an impactful educational panel which the non-profit refers to as Music-Versities, where students will hear from leading industry executives on the importance of leadership, mentorship and their careers behind the scenes in the music and entertainment industries. As part of Music Unites Day, the Compton Unified School District is committing $50K towards Music Unites work in Compton which will go towards the “Music Unites Academy” being built across all three schools and the funding of afterschool music programs across all three schools for the upcoming school year which will include instrumental, guitar and beats production.